This manifesto sets out the objectives of the Forum, in support of Bristol becoming the European Green Capital in 2015. We call on everyone in Bristol to help us achieve its objectives. 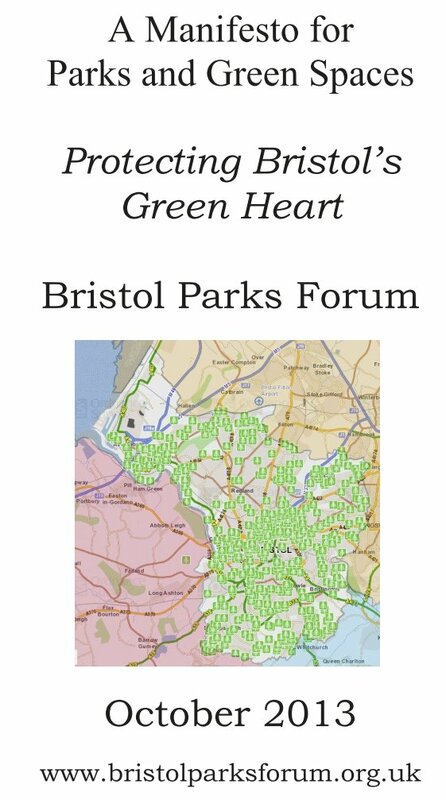 The Manifesto was prepared by the Parks Forum committee and adopted at the Bristol Parks Forum meeting on 12 October 2013.